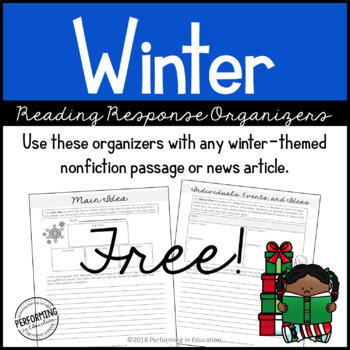 Use these reading response pages with any passage this winter! They are open ended and can be re-used multiple times with different text, like NEWSELA articles and Scholastic Magazines. Click here to follow my TpT store for more awesome freebies throughout the year. Click here to see the bundle. Review the reading standards before winter break with the escape game Escape to Winter Break!